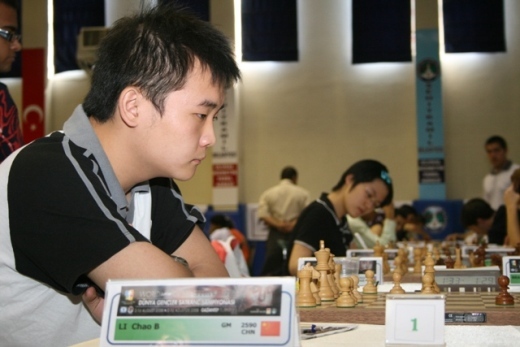 Defending champion of the Indonesia Open Chess Championship, GM Li Chao of China, is back for IOCC 2012 which is this year being held at the Sahid Hotel in Jakarta from 10-17 October. Although he is one of the favourites as well as the second seed, the 23-year old is quick to play down his chances. This young man who finished in sixth place in the 2005 World Junior Championship has promised however to put maximum effort into winning. That says it all about the former table tennis talent who has instead decided on chess as his career. Q: You were the champion last year. What is your target this year? A: My objective this year is to play well as well as I can. This year’s tournament is more difficult than last year’s. Many players do not have such a high elo rating but they are strong. In the second round I met a young Indonesian IM. Although he did not have a high rating he played very well. Q: There are many strong Chinese chessplayers. How is chess in China? A: Chess is not popular in China. Because we have our chess – Chinese Chess – which is very popular. However there are many chessplayers and they all need money so everyone works hard to be a better player so as to have a better life. Q: You have a high rating and have achieved many good performances. In fact you are one of the best Chinese players? But you have not managed to win your National Championship. Why is that? A: I always play badly in our National Championship. I don’t know why I have a high rating and good results, probably I should thank my mother. Everyday she brought me to chess school to study chess even though it wasn’t easy for me to study everyday. Probably also we have so many people in China that we have to compete hard amongst ourselves. That is our characteristic, our signature. I was also lucky to be able to achieve success in my career because I had trainers who gave me positive support. A: Yang Lin, Tong Yuanming, Xie Jun, and Wang Yue. I am very fortunate to have met these four great individuals. Q; Are you close to Wang Yue? A: He is my friend and it is he who has taught me a great deal. And not only chess. Q: You speak good English. A: No. With English I have a lot of problems. I still don’t know many words. My mother is an English teacher and it was she who taught me. But now I do not get lessons from her as I am always busy at tournaments overseas. Q: Are there tournaments that are unforgettable for you? A: Just 3 or 4 tournaments like the Philippine Open, Indonesia Open, and Asian Cities. A: Music, watching movies, playing computer games. I used to spend one to two hours on the game Counter Strike before I became active in chess. 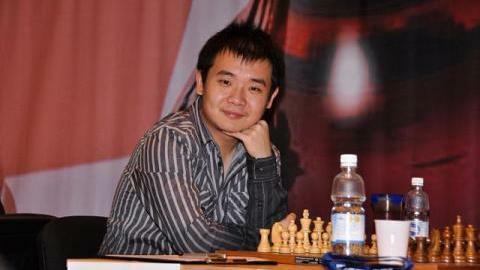 Q: In your opinion, who is your most difficult chess opponent from China? A; Wang Yue. He is super talented and a very strong player. Q; What are your plans after you stop chess? A: I don’t know, probably become a trainer.